In April 2013, an attack was carried out on PG & E’s Metcalf transmission station, which knocked out 17 giant transformers that funnel power to Silicon Valley. It took workers 27 days to make repairs to bring the substation back to life. Jon Wellinghoff, Chairman of the Federal Energy Regulatory Commission (FERC) at the time, said the attack was “the most significant incident of domestic terrorism involving the grid that has ever occurred”. Since that event, FERC has taken action to provide for the resilience of the transmission grid by directing the North American Electric Reliability Corporation (NERC) to develop reliability standards requiring owners and operators of the Bulk-Power System to address viagra effets secondaires risks due to physical security and vulnerabilities. This is il cialis nn funziona another step to increase Homeland security in the United States. 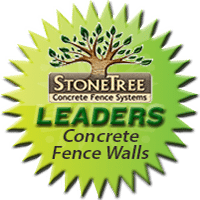 Over 1 mile of the StoneTree® Security Boundary Wall was chosen as the preferred product to be installed at the Metcalf transmission station to enhance security. The wall is constructed in heights up to 16ft (4.8m).